God bless us, everyone! 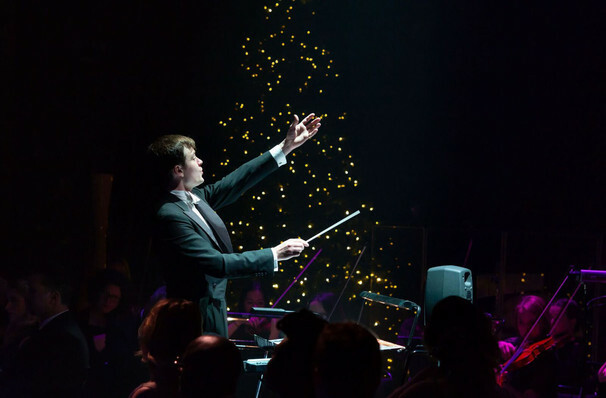 The London Musical Theatre Orchestra are set to return this year with their festively fantastic rendition of A Christmas Carol in Concert, with Griff Rhy Jones as everyone's favourite miser, Ebenezer Scrooge. Over three performances, Jones will star opposite an array of the West End's finest talents, including Lucie Jones (Les Miserables / Legally Blonde / Eurovision 2017) as Emily / The Ghost of Christmas Future, Miriam-Teak Lee (Hamilton / On The Town) as The Ghost of Christmas Past, Cedric Neal (Chess / Motown) as The Ghost of Christmas Present, Rosemary Ashe (The Witches of Eastwick / The Phantom of the Opera) as Mrs Fezziwig, and Nicolas Colicos (The Producers / The Bodyguard) as Mr Fezziwig. With LMTO past performers including David Bedella, James Dreyfus, Rob Houchen, Robert Lindsay, David Thaxton, Ruthie Henshall, Michael Xavier, Russell Watson, Anna O’Byrne, Maxwell Caulfield, Samantha Barks, Arthur Darvill, Carrie Hope Fletcher, Giovanna Fletcher, Norman Bowman, Alex Gaumond, Wendi Peters, Clive Carter, Emma Hatton, Celinde Schoenmaker, Lauren Samuels and Oliver Savile and many more, it's safe to say that Griff and co are in good company as they bring us this classic Christmas caper! Founded by Freddie Tapner in June 2015, the LMTO has gone from strength to strength in the past few years, presenting their famed 'Play-Through' concerts as the Orchestra-in-Residence at the Bishopsgate Institute. A Christmas Carol in Concert plays the Lyceum Theatre in Convent Garden for three shows only, so book your seat today and experience the wonderful story in this glorious production for all the family! View our show pages for more information about A Christmas Carol In Concert, Lyceum Theatre.